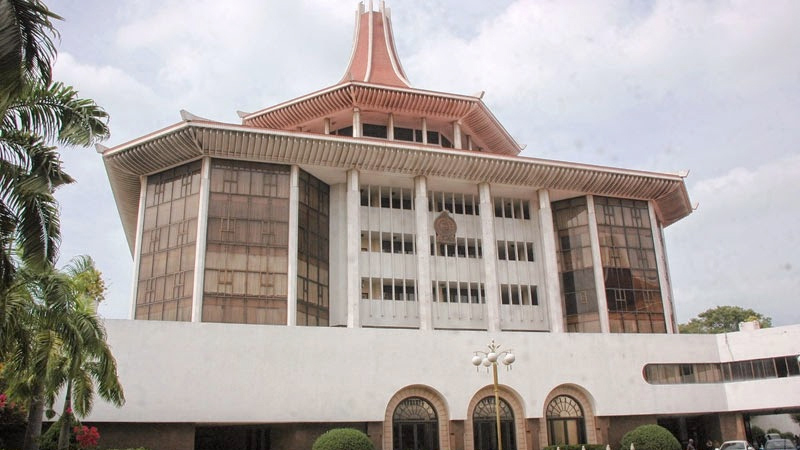 The Supreme Court has determined that two Clauses of the Office for Reparations Bill are inconsistent with the Constitution, Speaker Karu Jayasuriya told Parliament yesterday. The Speaker, making an announcement at the commencement of the sittings, said that the SC in its determination sent to Parliament after concluding the hearing of two petitions challenging the Bill has stated that Clause 27(a) and 27 (a) iii are inconsistent with the Constitution. The SC has ruled that the Bill has either to be passed with two thirds majority in Parliament and a referendum or be amended as per the SC’s recommendations to make it consistent with the Constitution. The Bill provides for the provision of individual and collective reparations for aggrieved persons. The Clause 27 (a) deals with the interpretation of “aggrieved persons”. The Clause 27 (a) says “aggrieved persons mean persons who have suffered a violation of human rights or humanitarian law, their relatives and missing persons”. The Clause 27 (a) iii interprets that “aggrieved persons” also include the individuals, groups or communities of people of Sri Lanka who had faced systematic gross violations of the rights. If the above two clauses are amended as per the SC’s recommendations those will cease to be inconsistent with the Constitution. The SC has determined that the rest of the provisions in the Bill are in accordance with the Constitution. The Bill was presented in Parliament for the first reading on July 17. The scope of legislation applies to the conflict in the North and the East, as well as “any political unrest or civil disturbance, systematic gross violations of the rights of individuals, groups or communities of people of Sri Lanka, and enforced disappearances”. Under the “individual reparations”, the bill facilitates any monetary payment or material benefit provided to an aggrieved person, micro-finance and concessionary loans, educational programmes, training, and skills development programmes, administrative assistance, and welfare services including psycho-social support provided to an aggrieved person, measures of restitution, including the provision of land and housing, and other appropriate measures identified by the Office for Reparations. Under the “Collective reparations”, the bills facilitates remembrance of deceased persons, including memorials, development of infrastructure, educational programmes, training, and skills development programmes, community development programmes or services, and other appropriate programmes as identified by the Office of Reparations in consultation with affected communities.